During RE day, we looked at the concept of resurrection and the empty cross. 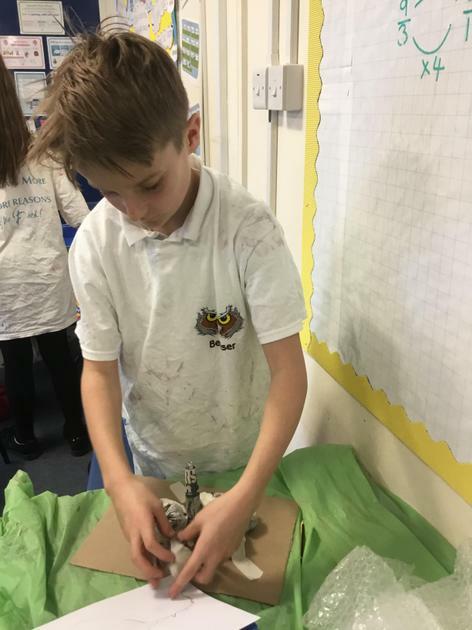 We watched a film clip of Aslan resurrecting in The Lion, Witch and the Wardrobe and created our own logo to symbolise how Aslan overcame death. Next we explored the Easter story and the significance of the Empty Cross. We used drama to create still images to sequence the main parts of the story. We discussed our own ideas, believes and experiences of resurrection. Finally we used our ICT skills to create a word cloud for our concept. Today we started our new Science topic which is all about Forces. We started by investigating whether there is a link between the weight and mass of an object. 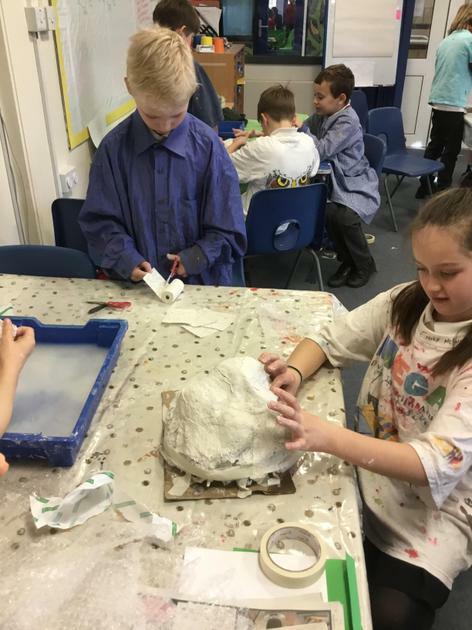 We have made models of mountains! 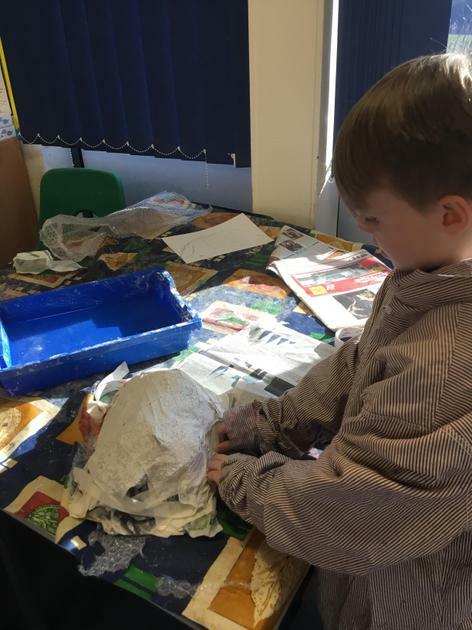 First we decided what mountain we wanted to create and researched the type of mountain it was, focusing mainly on its shape. 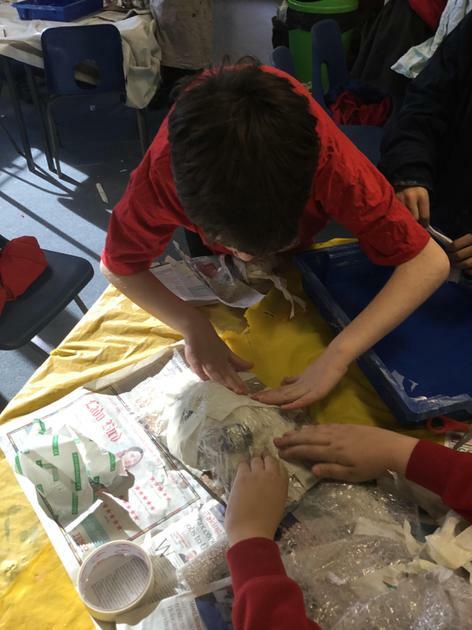 We used card, newspaper, bubble wrap and modroc to make our models. 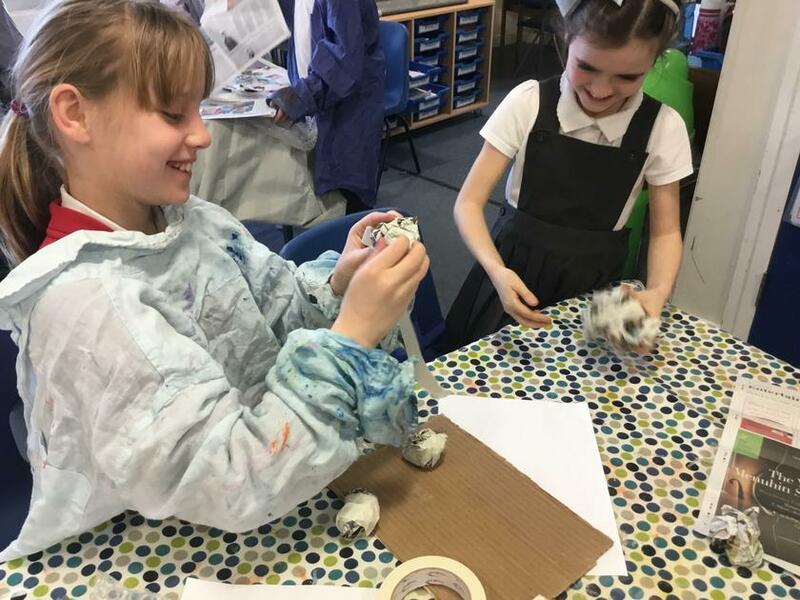 Mr Webber, a Science teacher from Henry Beaufort, worked with us to create models of our lungs! 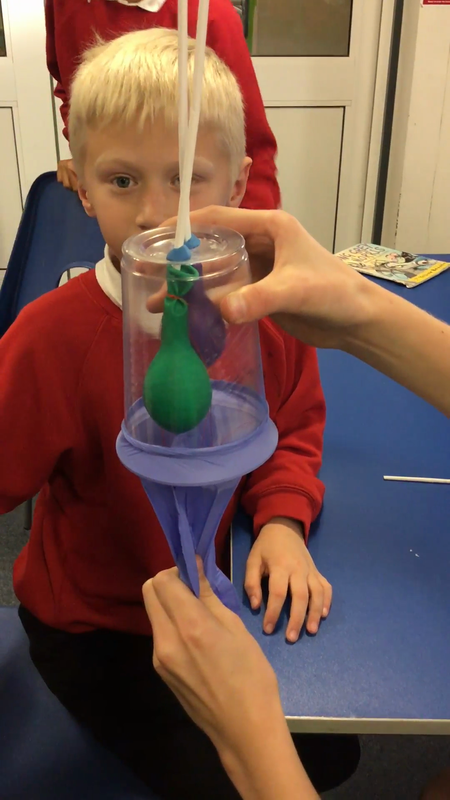 By moving the gloves (our diaphragm) we could make the balloons (our lungs) inflate and deflate. This is what happens in our bodies when we breath. Art Day! We have been creating wire sculptures. First we used pipe cleaners to experiment with how to shape and join wire to create different forms. Then we looked at the work of Alexander Calder, an American sculptor who used wire to create kinetic sculptures. Using his face sculptures as inspiration, we created self-portrait wire sculptures. Today we visited the Life Bus for a PSHE workshop about Decisions. We looked at a scenario where a couple of friends try to persuade another to drink alcohol. We talked about the decisions the children faced and how you can stand up for yourself and your friends when making decisions. 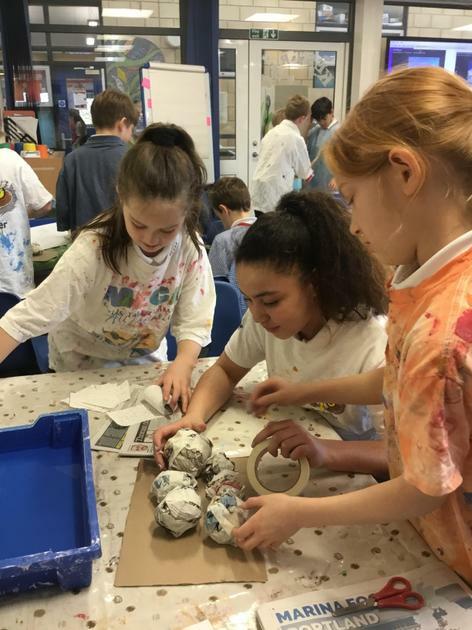 We can't believe how quickly this first half term has gone and how much work we've done in Kestrels. This week we've been writing Creation stories using an image for inspiration. We've tried really hard to include modal verbs, fronted adverbials and conjunctions. Yesterday was our first home learning celebration of the year. 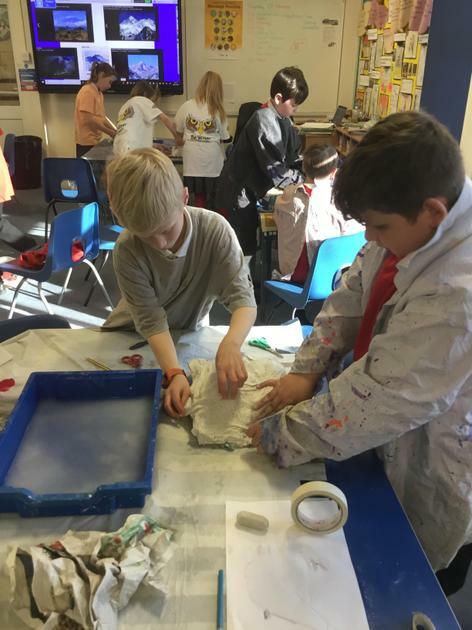 It was great to see each others work and see the effort that had gone into the tasks. During our final topic lesson of this unit we debated whether the Benin bronzes should be returned to Benin. It became quite a heated discussion with many valid points expressed for both sides. Today the author Finian Black visited Kestrel class. We thoroughly enjoyed listening to him telling us what it's like to be an author and how he gets inspiration for his books. Many of us purchased a signed copy of his books and are engrossed in them already! Abdul Kayum visited us from the Winchester Muslim Cultural Association to share his experiences of life as a Muslim and how he felt when he went on the Hajj. The children asked many questions to further their own understanding. Today we have celebrated Harvest. 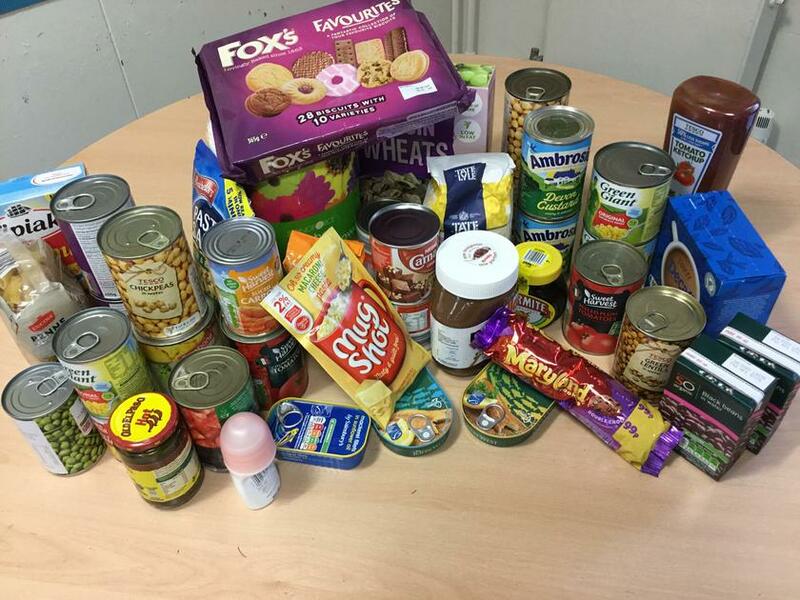 Thank you to everyone for your donations which will be given to the Winchester Night Shelter. 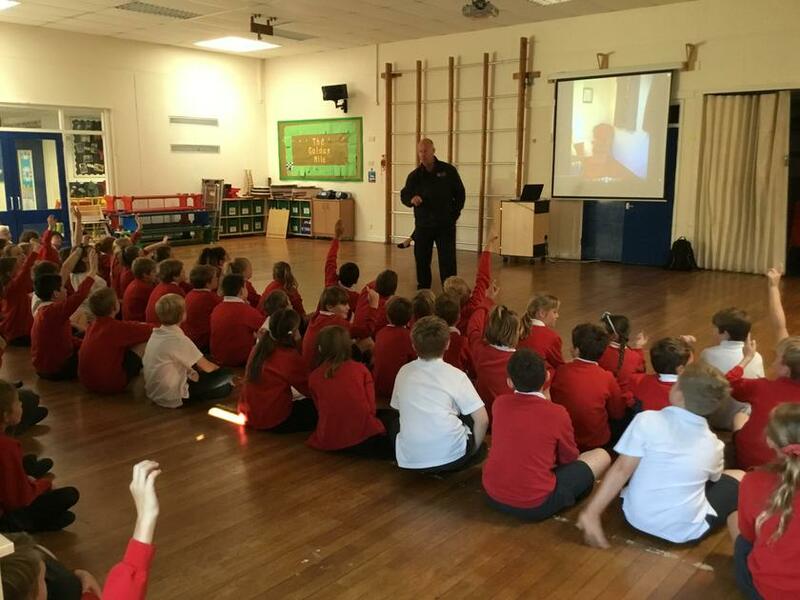 On Thursday we were visited by Hampshire Fire and Rescue Services. They talked to us about how quickly fires can start and spread; safe fire escape routes and what a fire needs to keep burning. 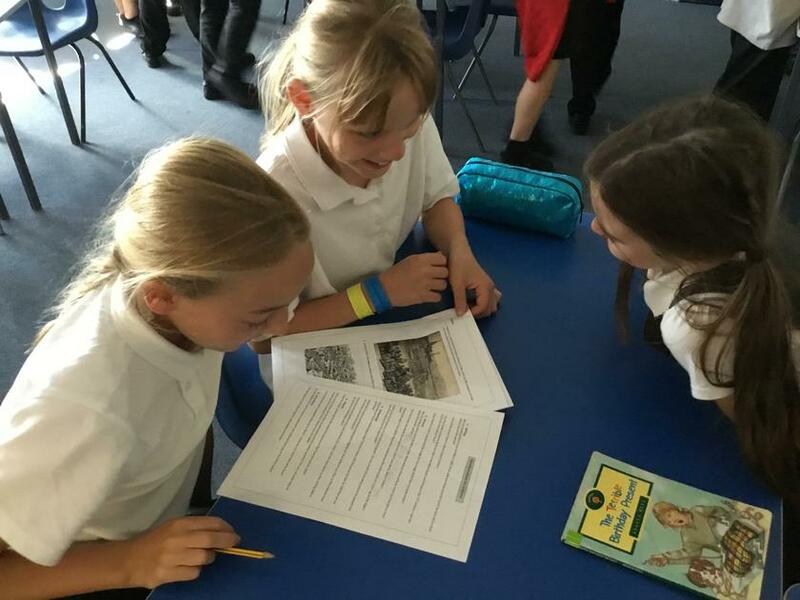 In our topic lesson we thought about the different sources that we use to find out about the past. We evaluated these by how accurate they are. We decided that written accounts and pictures by people hundreds of years after the event who hadn't been there were not necessarily going to be very accurate! Using actual artefacts and discoveries made by archaeologists tell us a lot more. During Science this week, Kestrels were given jigzaw pieces which they joined together to discover a picture of a heart. Through research we identified how the heart is an organ made of powerful muscles and blood vessels that pumps blood around the body to give it energy and oxygen. We discussed why the heart is such an important organ and what would happen to the body if it stopped working. We spent time locating our own pluses and finding our heart rate -bpm. We finished by investigating - "Does everyone's heart beat at the same rate?" and "Do bigger peoples' hearts beat faster?" We thoroughly enjoyed testing this by participating in moderate and vigorous exercise then finding our heart rate. Our first couple of weeks in Kestrels has been very busy! In English our focus has been biography writing. 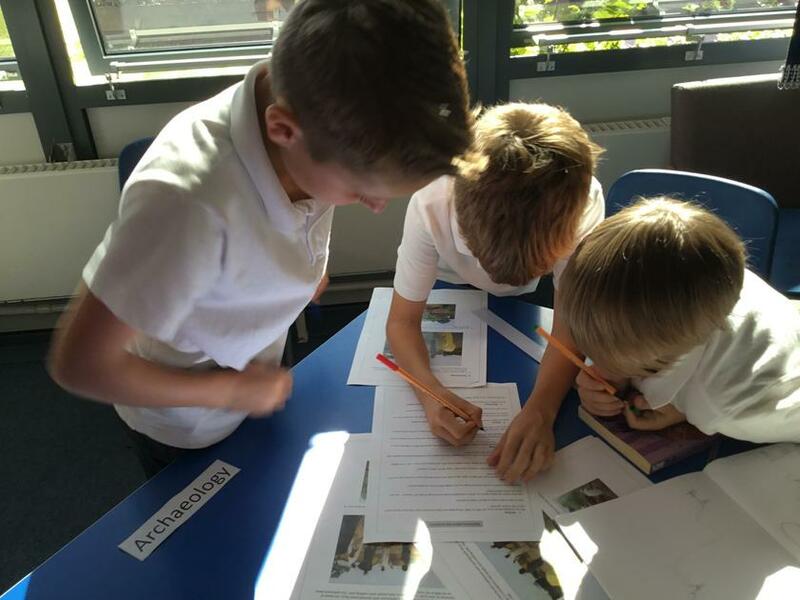 We have found out and written about the lives of Michael Morpurgo and Philip Pullman, using the features of biographies. Next week we are looking forward to writing biographies about an author of our own choice. 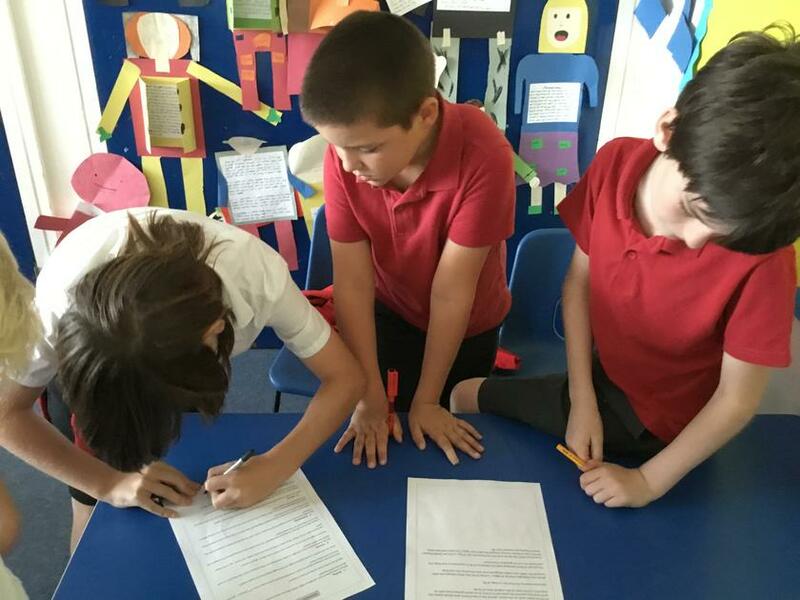 During Roald Dahl day we put our skills to the test, writing fictional biographies about characters from his books. We had to think of what the character's childhood was like and how events during this time shaped them. Our first Maths unit is Place Value. We've started by gaining an understanding of even bigger numbers than in Year 4 and continuing to develop our understanding of rounding. During our RE day we looked at Rites of Passage thinking about important events in our lives and how we mark these. Focusing on Islam, we found out about how Muslims mark rites of passage in their lives.